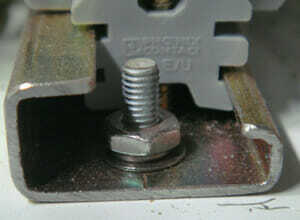 A DIN rail or top-hat rail is a standardized 35 mm wide metal rail with hat-shaped cross section. 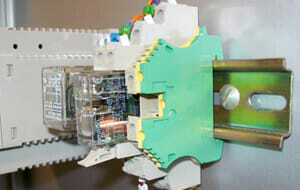 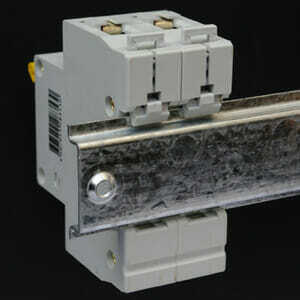 It is widely used for mounting circuit breakers and industrial control equipment inside equipment racks. 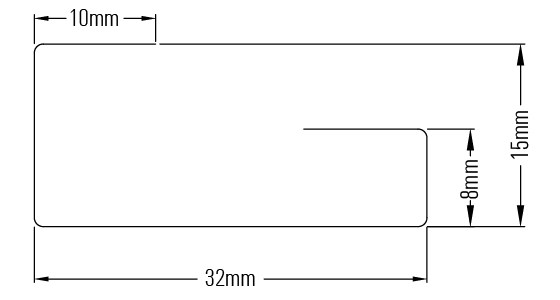 G-type rail (EN 50035, BS 5825, DIN 46277-1).